Today is Sunday July 23. Why should that matter amidst all that is going on in the world? Well, because in my psyche it is a day of collective mourning and celebration. A day where I spend the 3 days prior in a funk and the couple after trying to keep my game face on. It is the 7th anniversary of the day I did not die. The day life changed forever. This day; is a day of scrambled emotions, and for a few hours it is glorious. Those hours where the cross winds carry heart and mind through the pain and grief into a space of agelessness abandon and pure joy. Where others I encounter along the road greet my smile in reflection of infinite permission to shine with child like abundance of wondrous freedom. Where the miles disappear under the whir of my wheels along the asphalt and the sun’s rays squeeze through the morning clouds. Where everything is golden and tossed in late summer heat with a mischievous inkling of anticipation of autumn approaching. For those hours of many miles, it is an opening as well as a detour from the daily reminder that life is a colossal challenge of heart and brainpower to maintain purpose and strength that propels life forward. That is why “Get your ride smile on….” has become my talisman, my mantra, my inspiration, my wish to all: “Ride with fear ground out beneath your wheels, with fierceness and inspirited determination as your tail wind. For more info on TBI & where I volunteer look here Hope you’ll comeback and join bicibits’ journey here on the website, FB, Instagram & Twitter. 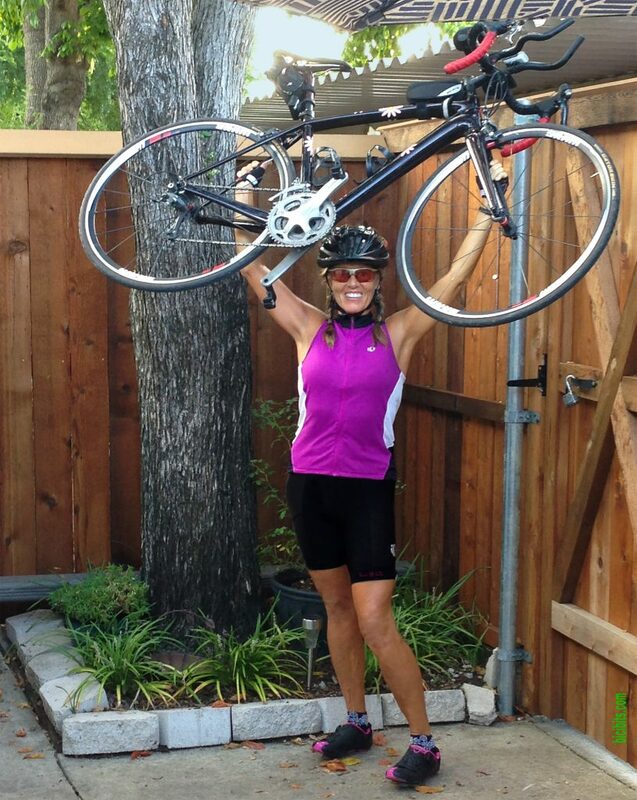 This entry was posted in Bicycle, Bike Vibes, Blog, Brain Injury, Get Your Ride smile On, Moments - Memories In The Making, TBI Warrior, Why I Ride and tagged Bicycle, Bike, Bike Vibes, Blog, Brain Injury, Cyclist, Get Your Ride Smile On, Road Cycling, TBI Warrior, Why I Ride.